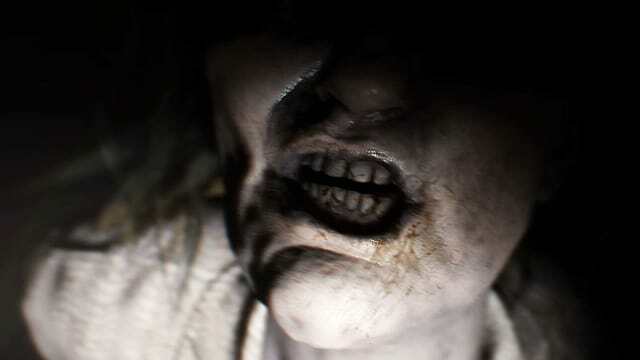 Resident Evil 7 may be an enjoyable experience on its own, but when paired with the PlayStation VR headset, something special happens, something unsettling—but in a good way. If there hasn't yet been a game to truly experience the benefits of VR, you've got one now. 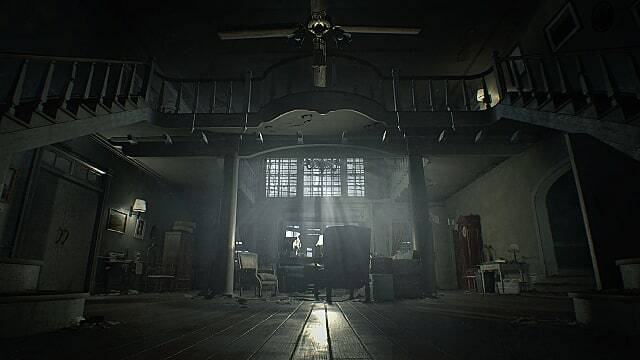 Resident Evil 7 is the first blockbuster title to include fully featured support for the extraordinary technology of virtual reality. 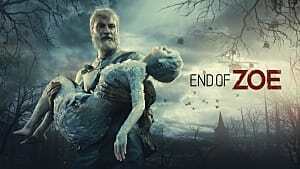 That is, this is not only the first time you can experience a beloved horror franchise by creeping your way right into the chilling environment, but it’s the first opportunity PSVR owners have to play a full-length campaign using their pricey headsets. 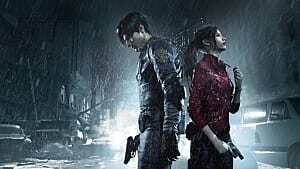 Although it may be impossible to tell you just what the young tech can do for Capcom’s latest title until you give it a go for yourself, I'll give you 7 convincing reasons why you ought to isolate yourself to the horrors contained within Louisiana swamplands in virtual reality. 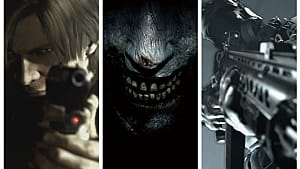 And the good news is that you’ll be vomiting from the horrors in Resident Evil 7 and not the dizzying movements inherent to certain VR titles. 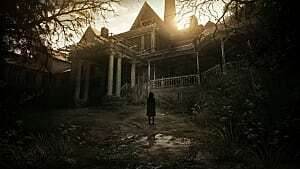 Perhaps it’s a little odd to want to feel like you're a part of a horror experience, but it wouldn’t make sense to begin playing a horror game if you weren’t interested in scaring yourself. 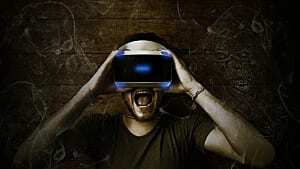 Hopefully, you agree, because if you do, virtual reality really does immerse you into the action. No longer are the horrors locked up behind the glass of your screen—they’re now stuck to your face, making you feel fully involved with your surroundings. It’s all because of the stereoscopic 3D that you feel immersed in the unnerving environments of Resident Evil 7. 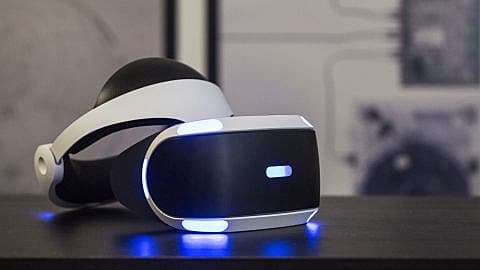 Unlike typical stereoscopic 3D that serves to carry various layers of action toward you, virtual reality produces 3D imagery that envelopes your vision, well at least as far as the PlayStation tech allows for it. When walking through the silent forests or the run-down guest house at the beginning of the game, the 3D embrace of VR enhances your depth perception and heightens your spatial awareness. Sure, traditional 3D renderings seen on your television do provide you with a sense of depth, but they can never give you the feeling that you are actually wandering through acres of deep disturbing wood. Part of this feeling of being present, of having agency in a virtual world, is because VR lets you animate the protagonist of the game—in this case, Ethan—and see the world through his eyes. Because you are taking on this shift in perspective, everything looks to scale as you’d expect in the real world. When you meet—rather, get startled—by characters in the game, you see them as they were meant to be seen. Tall characters will tower over you, and shorter characters will appear below you. It may sound trivial, but pulling contrived environments away from a typical TV-screen setup and instead opting for a more palpable recreation of a fictional environment by means of virtual reality, makes all the difference. The ability to see through the eyes of Ethan means that you feel part of the events—you don’t watch as he passes under the trees, you observe the immenseness of said trees as you look up from their cast shadows to their very tips several feet above you. Getting away from the realism and tactility offered by VR in Resident Evil 7, there is a mechanical advantage offered by taking the time to strap yourself in. At first, I thought it would be a hassle to point my head in the direction I wanted to shoot, but it’s really one of the most accurate ways to get a bullseye every time. The combination of the thumb stick controls on your PS4 controller and the tracking abilities of the PSVR headset combine to make a much more accurate control scheme: tilt the control stick in the direction you want to shoot, and then move your head in calculated increments to really hone in on the biological waste you intend to blow away. 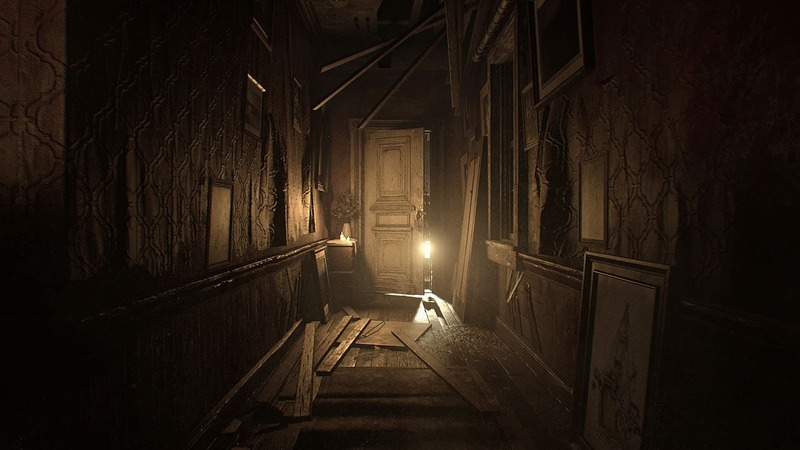 For a horror title like Resident Evil 7, every bullet counts, and that means that you need to fire your scarce resources in just the right places. Of course, part of exploiting the psychology of human fear includes confining the player to tight spaces, dungeonous hallways, and tight corners. VR dials all this up a notch because of the heightened awareness you're given of the spatial relationship between yourself and the inhospitable environments of Resident Evil 7. I remember one of the earlier sequences in the game had Ethan travel through a basement area filled water that almost touched the ceiling. 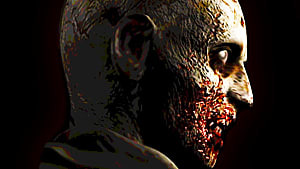 When slowly treading through the repugnant liquid, Ethan’s head would bob above the water and very close to where the ceiling met, meaning that I was not only given a visual image of being trapped between a pool of water and a low ceiling, but I actually felt as though my body were submerged from the neck down. It’s all rather incomprehensible until you try it for yourself, but the layout of environments presented in VR does affect your perception of the world. When traveling through narrow halls, you feel like you are being squeezed through a tight shaft; when fighting in enclosed arenas, you sense the urgency of your need to survive; and when presented with stairways, you feel as though you are climbing to safety or descending into hell. Isolation: Outside Distractions Are Eliminated. Dings from your Facebook, chirps from your Twitter, and squeals from your nagging mother do much to ruin the experience of enthralling yourself in a game. 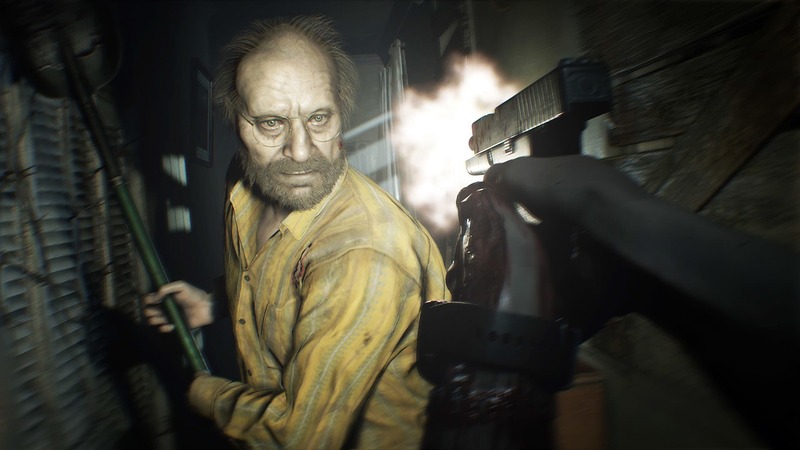 Even worse is having to deal with these annoyances during a particular unnerving sequence in a horror title like Resident Evil 7. One of the benefits of immersing yourself in VR, or a drawback depending on how you look at it, is that you are fully engaged in the happenings plastered to your face. And because of the included earbuds with PSVR, you are more than likely to plug your ears, as well. This is truly the first time a gaming experience puts an end to your erratic phone-checking, attention-deficit compulsions during gaming. Once you’re in, you’re in—best keep your focus because anything could be around the next corner of the decrepit house. The difficulty with VR games comes when trying to find an ideal speed and fluidity of motion that won’t have gamers feeling sea sick or fatigued after the first few minutes of play. 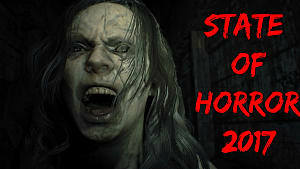 The slow, careful pacing of a horror game like Resident Evil makes it perfectly balanced for long VR sessions. 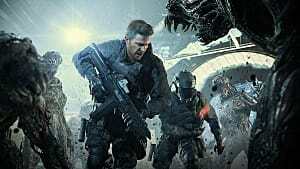 The rhythm of long, drawn-out sequences of walking and exploring do well to break up the intense action sequences as you fight for life with but a few pumps of lead and an old knife. Embedded Into the Mind: Worlds in VR are Memorable. 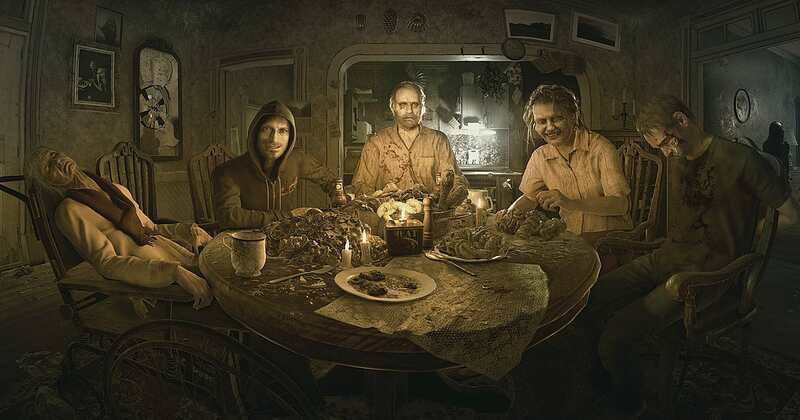 Because of the aforementioned immersive qualities provided by playing Resident Evil 7 exclusively in VR, the game sinks its hooks into the psyche of its players like no other modern gaming experience can. When an enemy chases you, your primal instincts of fight-or-flight kick in, almost in the way that they would if you were being chased outside of VR. Such responses prove that playing in VR adds an unprecedented layer of fear to the already grim experience. After playing the game for a couple of extended session in virtual reality, I noticed something else about the realism factor. Like typical human memory, which appends itself to locations we visit, I found myself recalling certain moments in the game more clearly than I would have if I played it on the television screen. And more than that, I recall action sequences better because of the fearful memories attached to them. Even the finer details of the game, such as items that can be picked up from rooms or textures on environmental artifacts, have seared themselves into my mind in a way that non-VR games can’t hope to match. It all comes back to that sense of being present, of being personally involved in the goings-on of games in virtual reality. If you don’t own a VR headset yourself—or you do and are just uncertain about playing Resident Evil 7—I say give it a shot, even if you have to make a trip to a friend’s house who does own one. 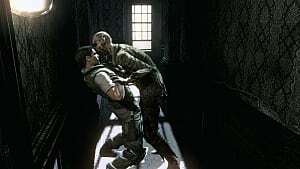 Let us know what your thoughts are about using PlayStation VR in the latest Resident Evil game by posting in the comments below.